Russell's wide variety of lightweight aluminum adapter fittings allow for the connection of Russell hose ends to almost any component. Adapters are offered in standard thread, metric thread and pipe thread to fit most popular oil pumps, fuel pumps, fuel filters plus a variety of other common components. To compliment the looks of the hose installation, three finishes are available - ultra-bright Endura, traditional blue anodized or our new black anodized fittings. Specialty AN adapter fittings are made from lightweight aluminum and are designed to match up with all Russell performance hose and hose ends. These fittings are only offered in blue, black and clear anodized finishes. Specialty AN fittings make installation quick and easy and will compliment your under hood appeal. Specialty Fuel adapter fittings are the best way to add Russell Stainless Steel or ProClassic hoses to your vehicle. 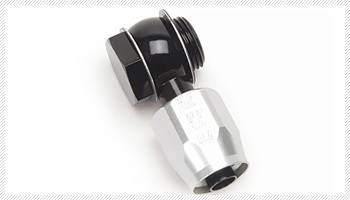 These fuel fittings are precisely manufactured for a quick and easy installation. These fittings are offered in a variety of finishes including red/blue anodized, Endura, or new black to complement any engine compartment. 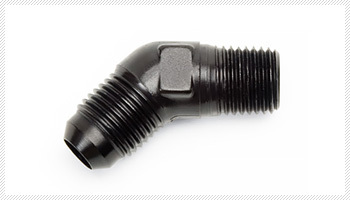 Russell Twist-Lok Adapter Fittings utilizes Barb Technology. 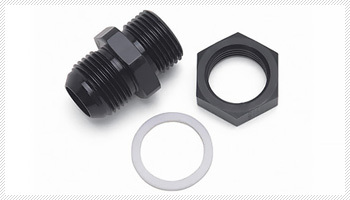 These adapter fittings are Constructed of lightweight aluminum and are 40% lighter than conventional adapter fittings. 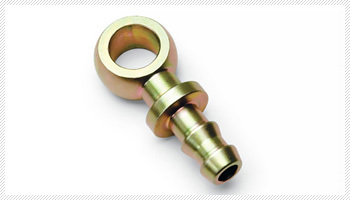 Twist-Lok adapter fittings are easy to assemble and work with any Russell AN adapter or carburetor fittings. 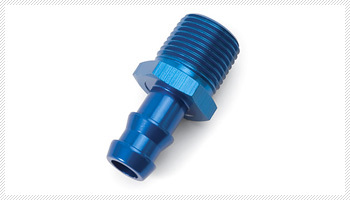 Russell Twist-Lok adapter fittings are available in blue anodize. Ideal for custom applications using Garrett TO3, T25, T28 turbochargers. Engineered for maximum flow and a secure fit, these adapters allow easy plumbing for your turbo's oil and water hoses.